The Celtic Shovel- As to the tool, it looks to me to be a hybrid of an Irish shovel and an Irish spade. 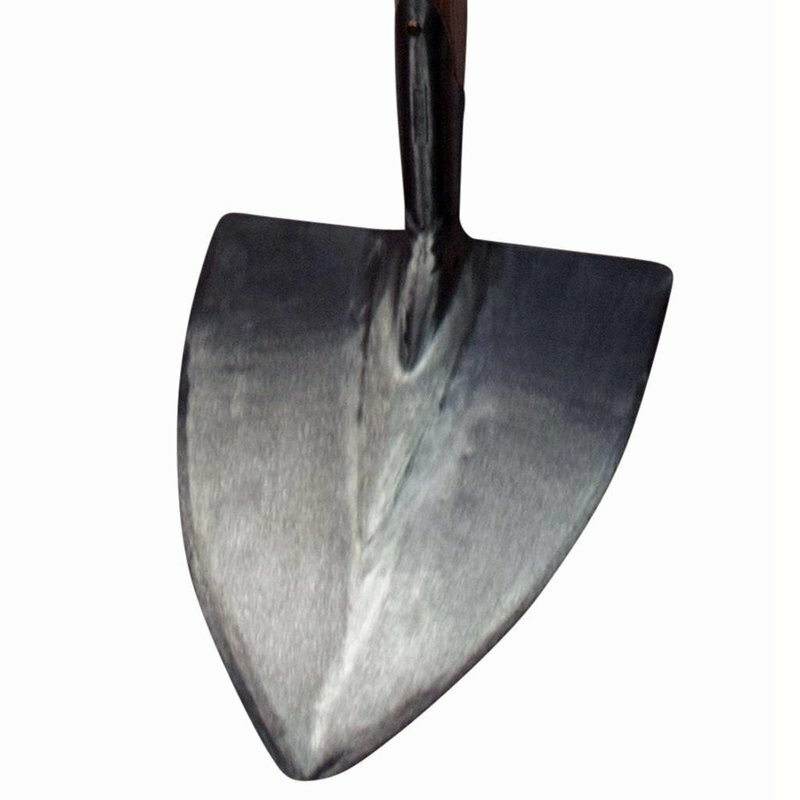 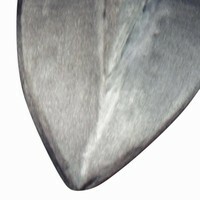 The shovel has a broad 'ace of spades' head which is concave in cross section which means that you can get a lot of material onto the head, and an angle between the head and shaft so it is easy to push the head into piles of 'stuff' and to lift using only arms and legs and not ones back. The spade has a narrower, flatter and more pointed head making soil penetration easy and just enough of an angle between the head an shaft to make leverage and turning of the of the soil easy and efficient. 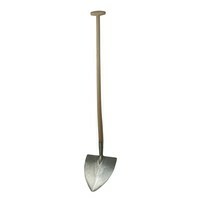 The Celtic Shovel is the perfect tool for easily lifting and moving piles of bulky materials such as soil or sand. With its long shaft and specially shaped and sized head, each shovelful is easy to fill, not too heavy to lift, and with the work is done by one's arms and legs rather than one's back, it is a tool you can use all day without requiring an appointment with the chiropractor.